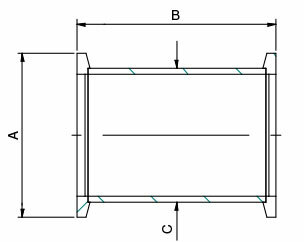 KF Straight Connectors are used to extend ports and pipework to a required length. Constructed from: 304 Stainless Steel. Helium Leak tested to 10-8 mbar. KF Straight Connectors are supplied in a sealed plastic bag and protected by plastic caps. KF Straight Connectors are compatible with other supplier’s products. 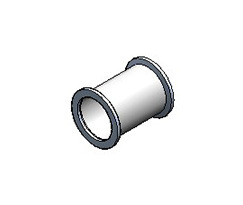 Connectors are manufactured to the ISO Standard and are compatible with other supplier’s product.